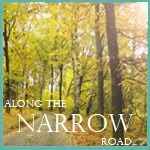 Along the narrow road.....: Win it before you can buy it!!! Winner and Let the sales begin! Win it before you can buy it!!! 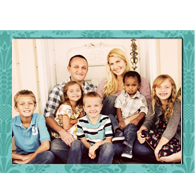 Wright Family USA - Are these kids all yours? God Is Most Definately Still In the Miracle Making Business!! This Domesticated Diva has MOVED!!!! We have our shirts! I am very excited to be able to show everyone our shirts! It only took a couple of weeks (praise God) to get the design right and now they are here!! We thought it would be fun to do a GIVEAWAY first. Then after the give away we will be doing a pre-order. So without wasting time here are the shirts!!! The women's shirt is super duper soft. Seriously, it is soft. 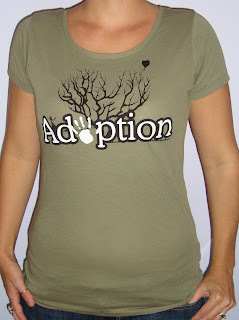 It is a military green scoop neck made up of 100% organic cotton. These shirts are pretty true to size. I normally wear a medium or large and in this shirt I prefer the Large. The men's shirts are very true to size it is super duper soft as well. It is made up of 100% pre-shrunk cotton. I know some women love to wear these as well and that would be great. I feel that the shirts pretty much explain themselves. We wanted a shirt that did not have a specific country on it. 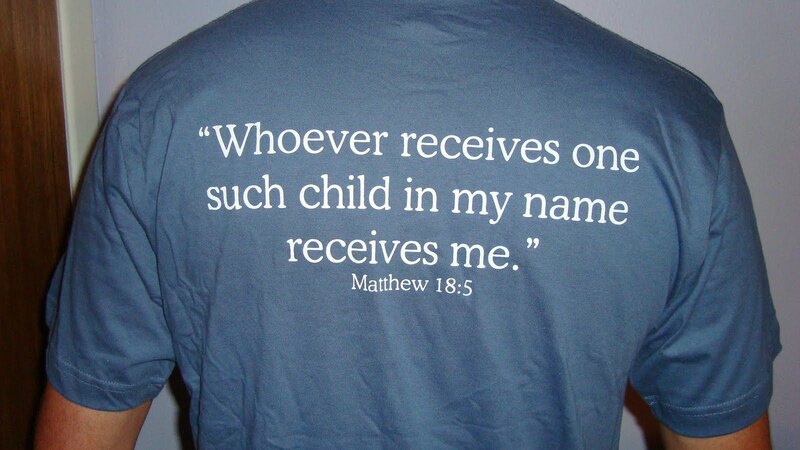 All adoption is beautiful and God breaks our hearts for different places.. We are also all adopted into the kingdom of God so this shirt, to us has different meanings. I hope you love our shirts as much as we do!! We have decided to do a giveaway before anyone can actually buy it. We will be running the giveaway starting now and ending on Friday August 13. You can win a shirt of your choice. After the giveaway is over we will be doing presales. More on that later. To enter our giveaway and get your name in the hat it is very simple. 4. Leave me a comment with what you have done. I told you it was easy. Can't wait to see who wins!!! LOVE these tees!! I will be praying that you will sell lots of them so that you can bring that little one home!! Would you believe I wasn't a follower?! (Honestly, I don't even really know what that does...I just read from my blog roll. haha) Anyway, I am now!! I wanna win! Posting on FB! Hope I WIN!! But whoever it is, I'm sure will wear the shirt proudly! LOVE the shirts! I am a follower now! Cute :) I'm a follower already of your blog! posted it on my blog! just posted on fb and friended you! 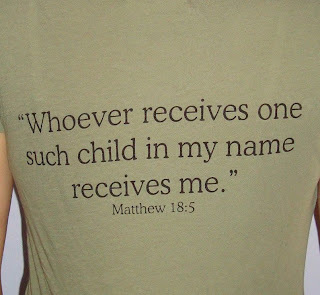 Love the t-shirt! Also love those necklaces here on your blog! Beautiful! 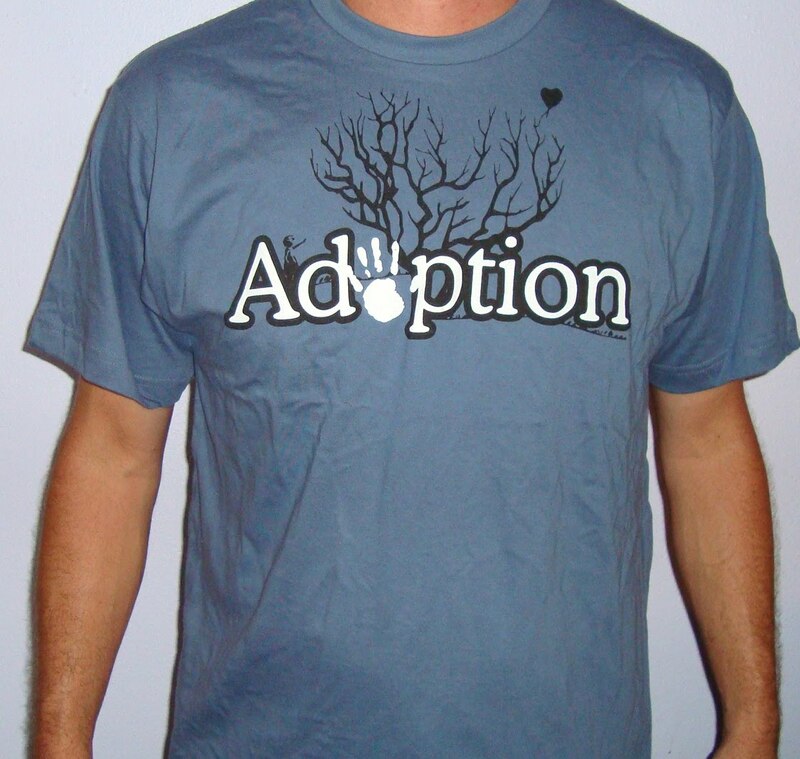 Love the shirts...we are thinking about designing one for our adoption journey too...by the way we are friends of Rossi's & we are also adopting...we love following everyone's blogs about adoption...I became a follower to enter to win!! 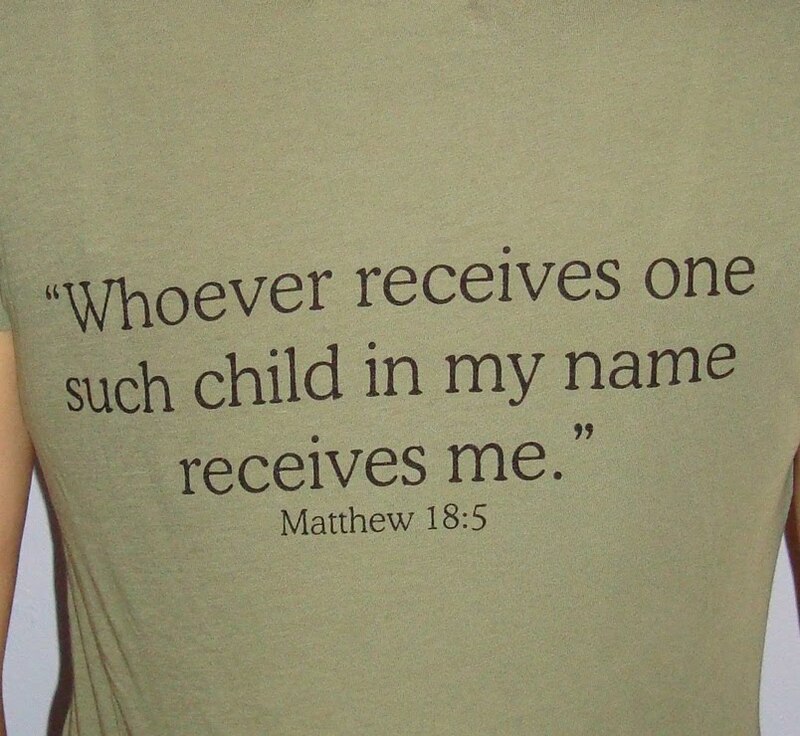 As a mom of 2 adopted children (Russia & Guatemala) I love connecting and supporting other adoptive parents. I am a follower of your blog and shared a link on Facebook. 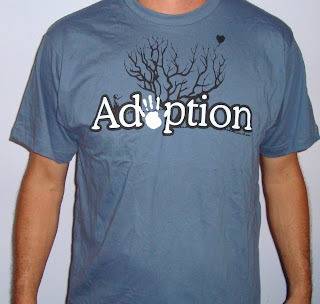 Wishing you the best on your adoption journey - through all the ups and downs God has a plan and will see you through! i <3 the shirts! posted this on my fb, hope it will help you get the rest of the referral fee. I am a follower on bloglines! I blogged about it as well. Excited to see God continue to work! 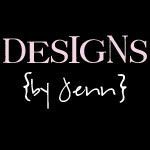 Enter me again--I reposted on FB...I wanna win! Love the shirts! Just posted on Facebook. 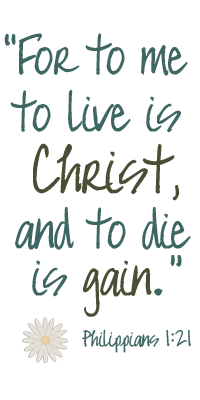 Grab our button, share our blog.